While our parents dearest wish may have been a secure 9-5 job for us, the realities of the global 24/7 economy present a myriad of job types and ways of working never dreamt of in our parents' day. The recent World Employment Conference held in Dublin acknowledged the rapidly changing world of work and the rise of the ‘gig economy’, ‘talent as a service’ and the ‘just-in-time on-demand workforce’ that is shaping modern working practices. Professional contracting can seem like a daunting prospect to some. But, as today's workforce becomes more contingent, and the gig economy is ever growing, this way of working is far more common now for professionals, according to Contracting PLUS Chairman, Michael Dineen. "Contracting talent as needed undoubtedly suits a lot of industry and businesses, but professional contractors working independently enjoy unique advantages too; not least a degree of freedom and flexibility that is not an option for most in permanent employment," he said. Instead of adapting their lives to their work, independent professionals can adapt their work to their lives, he says. "Project based working, flexible working conditions and breaks between contracts give iPros a work life balance that suits, and free time when required. Working parents in particular are finding the option to take off school holidays a real advantage, as are more recently qualified graduates who like to build extensive travel time into their working year," Michael Dineen explains. For Irish professionals considering a leap into the gig economy, Dineen attempts to debunk the misconceptions around the world of contracting. While some people contract as a means to earn money between jobs, or in addition to salaried roles, many choose to contract for the long term. Ireland’s contract industry continues to mature, and roles are in demand, allowing independent professionals to move directly from role to role as they wish. Changing contract positions, projects, and clients frequently allows individuals to build skills which would be difficult in a permanent position. Contracting does require some self-marketing, both in-person, through network building, and often by having a presence online. It lends itself to working with multiple clients, and different sources of income can be easily managed through one limited company structure. Talent is in high demand, and by working with multiple clients over time, honing skills, and extending reputation and networking, you have some of the best job security possible in this fast changing world. Lack of experience may limit certain roles, as it does with permanent employment also. However, Ireland's contingent workforce is seen internationally as well-educated and highly-skilled. As contractors work across multiple projects and gain wide experience, this presents more ongoing opportunities, and at higher rates. The investment in skills development can pay off even more handsomely for iPros than salaried personnel. It is advisable to set aside funds to support yourself initially, but, in reality, clients generally pay iPros promptly. Management of these funds and payment of VAT and tax liabilities when due is essential, so a good accountant or specialist service provider like Contracting Plus can look after the money side, while the contractor focuses on the work in hand. Similarly, take advice on the great options for iPros to optimise earnings and create wealth by using executive pensions, and also to look after family and dependents, as they see fit, with insurances and life cover protection. And, in accordance with “The Richest Man in Babylon” book, ideally everybody should set aside 10pc of their income for a rainy day, contractors included! 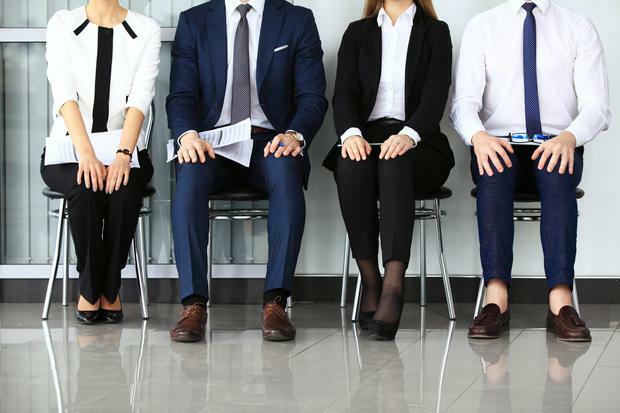 Recruitment agencies can assist in sourcing a contract role, especially those working with multiple clients, or specialising in your sector of expertise. All it takes is one placement and you start to build a network. Treat networking as a necessary tool for professional growth and job security, and develop networks according to your own personal and career objectives. As contracting lends itself to project based work, quite the opposite is the case! Professional contractors find themselves working with new teams, companies and technologies over the course of their contracting career. The flexibility of contracting allows individuals to work specifically on their area of passion, and develop expertise. The professional contractor learns from the different approaches they encounter, different practical experience and standard operating procedures, so they become more valuable going forward. Companies understand this more, and pay for this expertise! Working independently means different things for different people. For some, the option to work quietly from home and avoid office politics and distractions is great. For others, contracting is an opportunity to constantly increase their network. Resilience is something we all need; life inevitably hits you when you least expect it! IPros, by their nature, teach resilience like nothing else, and it is a good trait for individuals and good for society, in general. The more resilient the society, the better our chances of prospering, because change is coming down the tracks faster than ever before, and we need to be ready! Michael Dineen founded Contracting PLUS in 2002. The technology enabled international professional services company supplies accounting, tax and financial advisory services to independent professional contractors (iPros), as well as legal and administrative supports; a one-stop-shop financial planning and management resource.